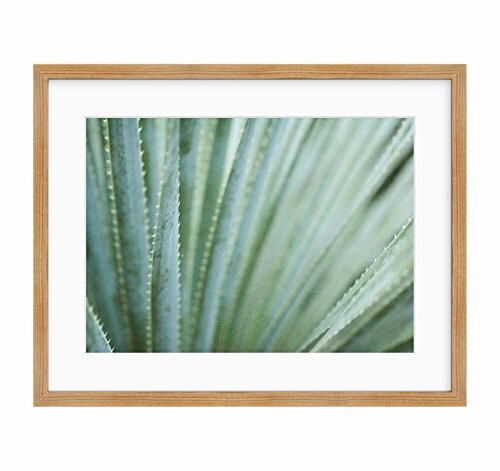 'Strands and Spikes' is available as a framed print, with 3 classic framing options in a number of different sizes, both in square and rectangle shapes. Made from high quality wood, our frames come in 3 classically elegant options; White (satin finish), Black (satin finish) and Natural Wood. The prints are surrounded by a 1.75 inch pure white mat, with 45 degree bevelled edges. Mat board is 100% acid free, and will not discolor or fade with age. All frames come ready to hang with pre-installed sawtooth hangers. Our frames use Acrylic Plexiglass, which provides increased UV protection and less glare than float glass. Artwork is printed on premium-quality heavyweight paper with a gently textured surface. This 200gsm museum quality paper is sourced exclusively from Hahnemühle, the world's most famous papermaker and provides exceptional tonality.